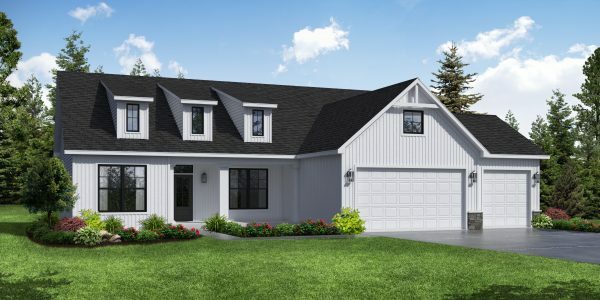 The most popluar of all our ranch floo plans and currently our Sycamore, IL model home. 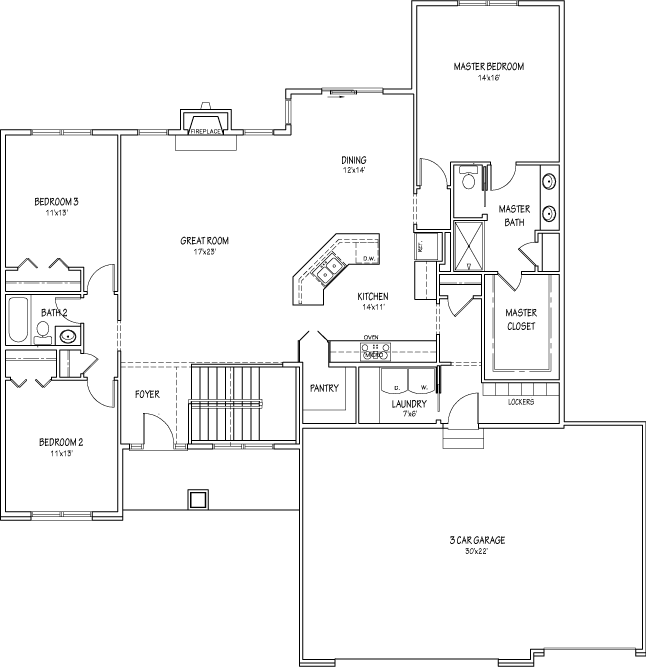 A split-bedroom ranch with 13-foot vaulted ceiling, and open-railing staircase leading to a full basement that can be finished by request. The large angled island with breakfast bar is a great place to gather while entertaining, and the breakfast area is large enough to hold a table for family meals. The master suite contains a tray ceiling, and the double sinks and luxurious shower make the master bath the perfect retreat after a long day.